My daughter has a Nick Jr. Bubble Guppies nightgown that she loves. It is what started my whole TShirt to Nightgown series. I love that she loves it but like I said before I don't love the price. 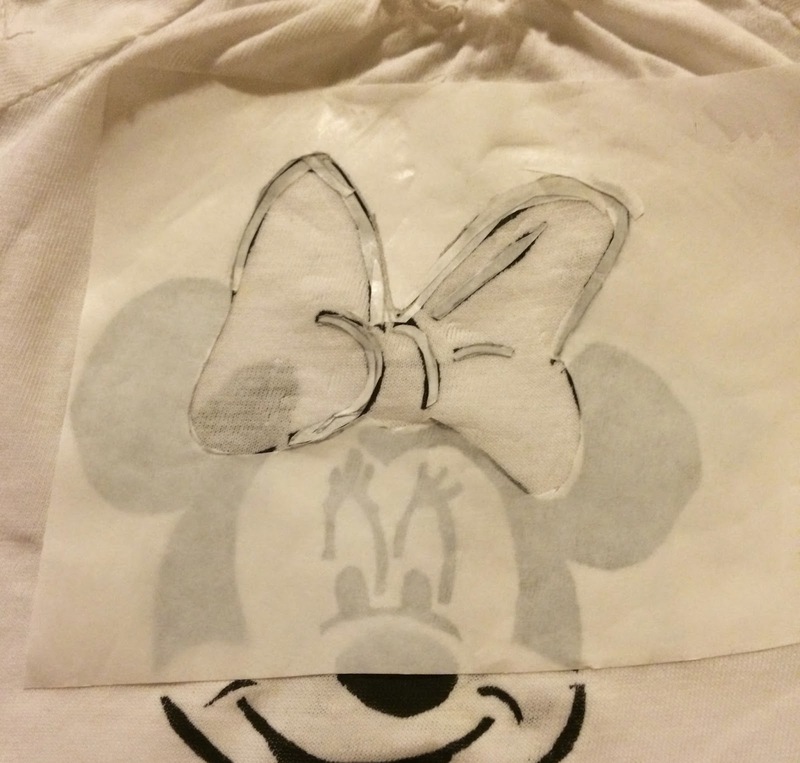 I have been thinking about decorating the TShirt Nightgowns that I made for her and decided to try to use some of those character pumpkin stencils as a freezer paper stencil. 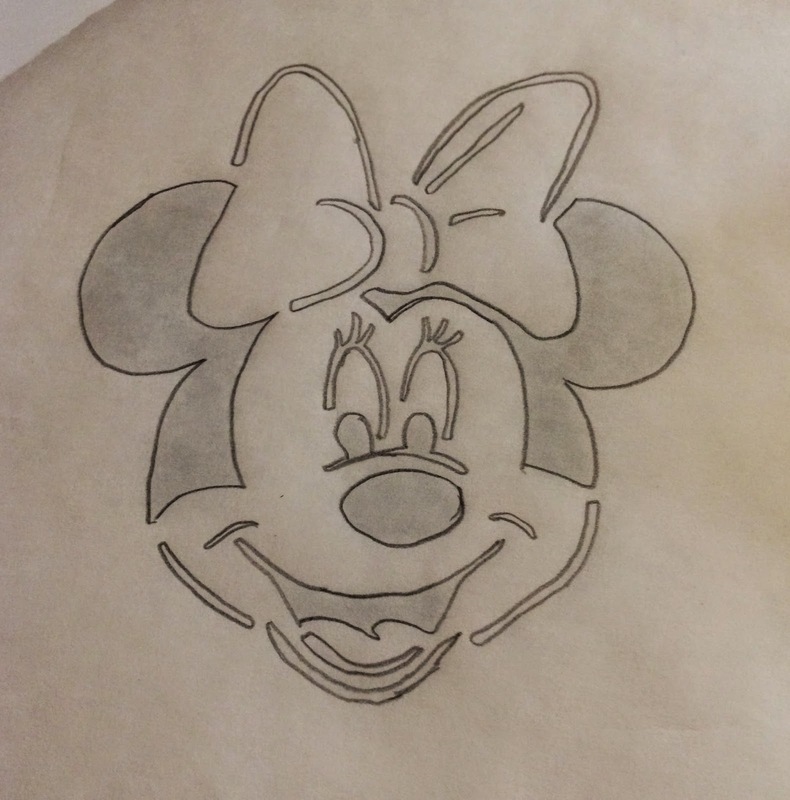 I did a search for Disney Pumpkin Stencils and a ton came up. I decided to go with Minnie Mouse. 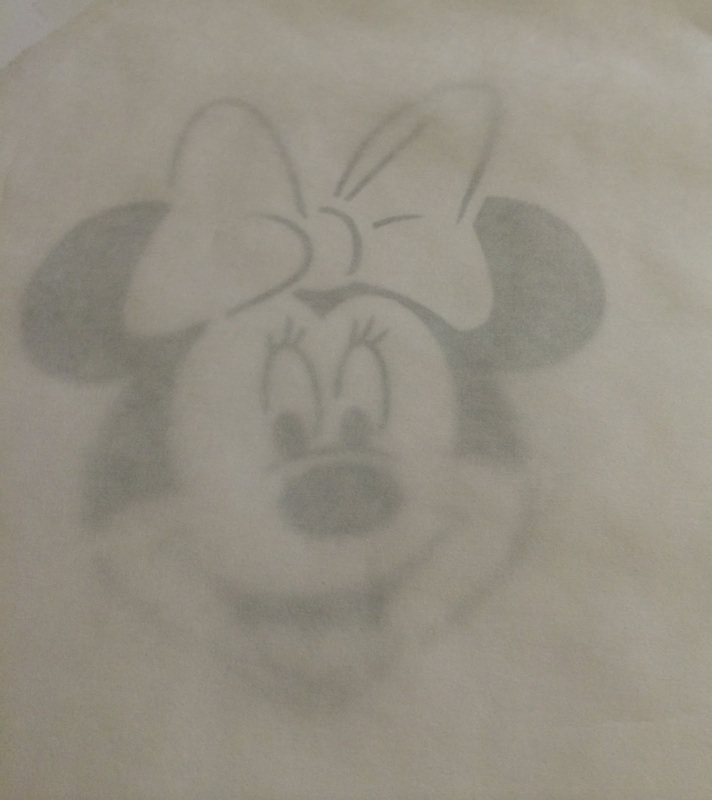 Place printed out stencil underneath a piece of freezer paper, paper side up. Trace the stencil. Trace an extra bow. Using exacto knife careful cut out black parts of the freezer paper stencil. Save the lines of the bow that you cut out. 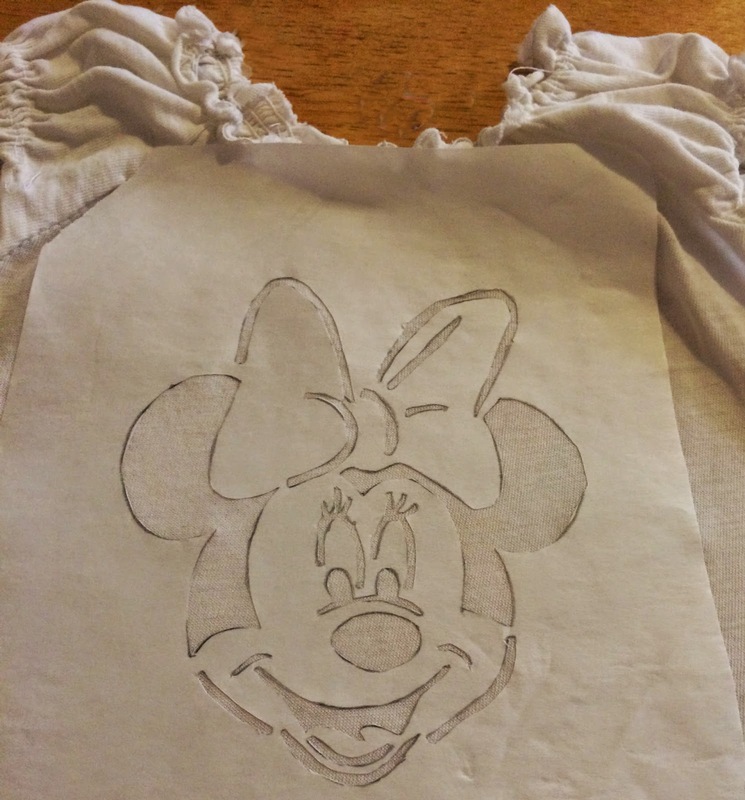 Iron the freezer paper stencil to nightgown (or other pieces of clothing) paper side up. Take extra care when going around edges. 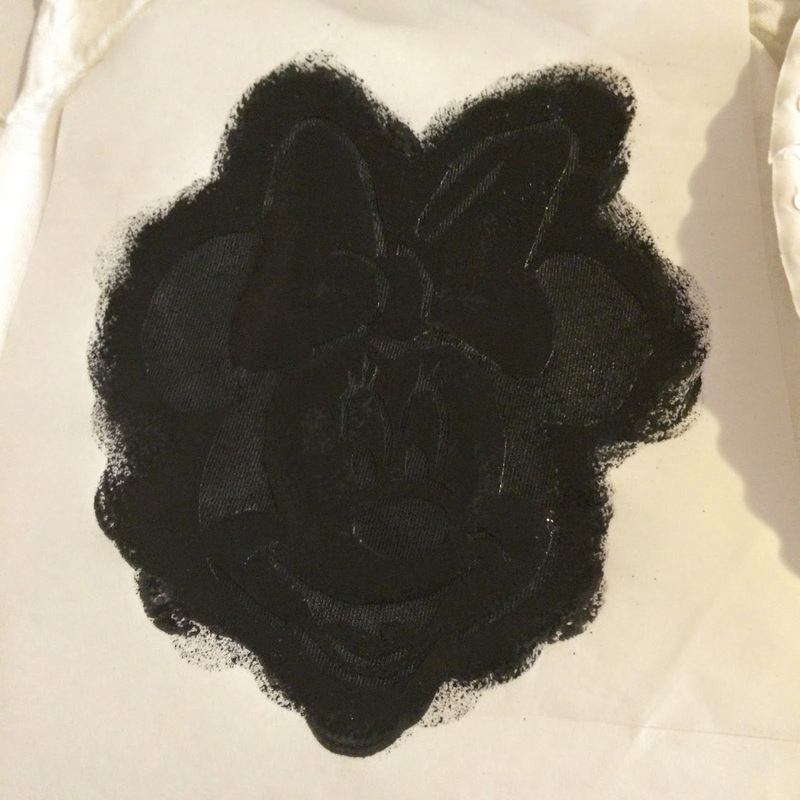 Paint using the foam stencil brush and black fabric paint in a tapping motion. Carefully peel off freezer paper. Place lines of bow saved from step 4 on top of painted lines. Using a small iron or the tip of a regular iron, iron on. 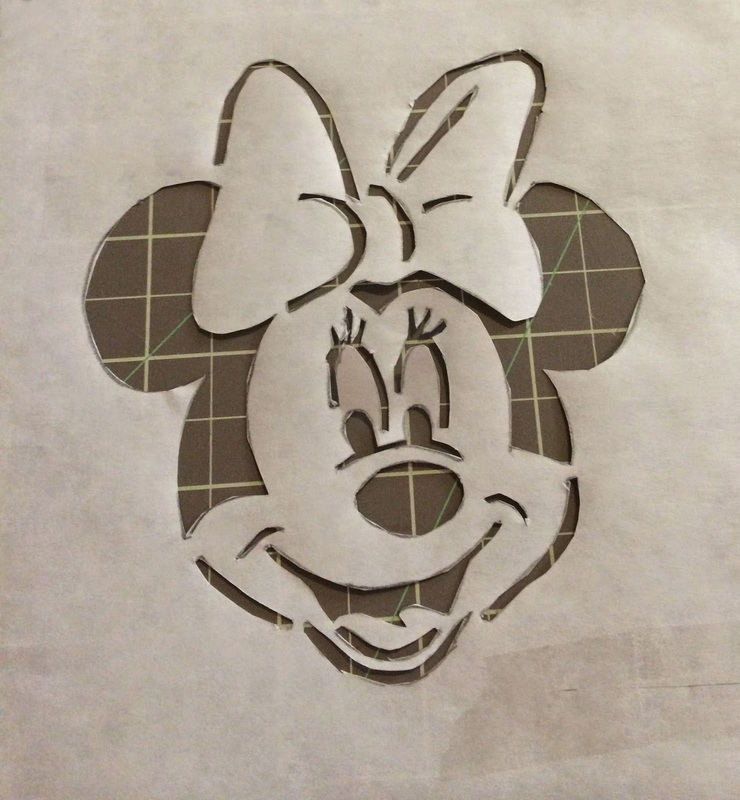 Take extra bow stencil and cut out the part where the color of the bow should go. You want the area around the bow to be covered with the freezer paper. Iron on the wax paper. 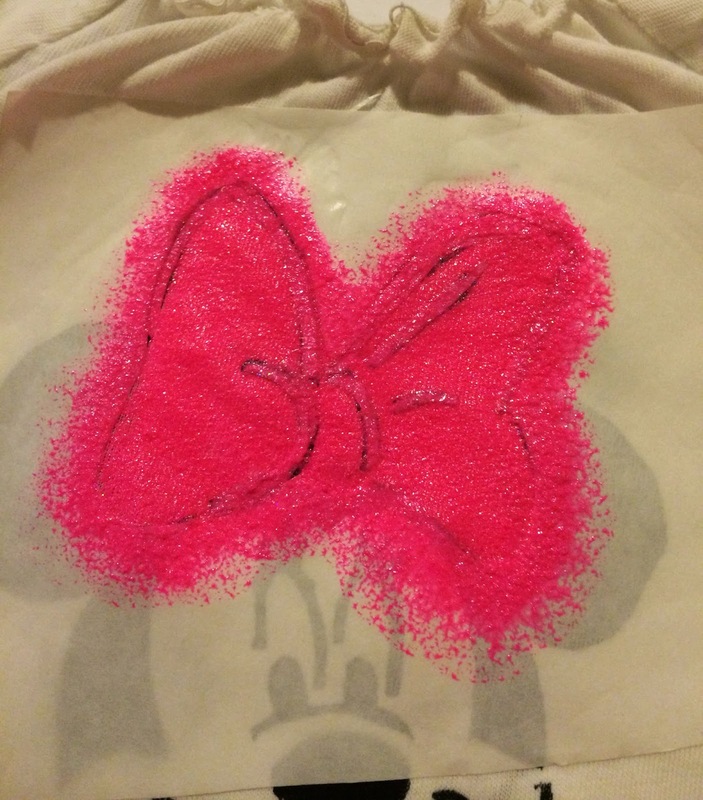 Using a tapping motion and the pink paint use a clean foam stencil brush to paint the color on the bow. Dry for several hours or overnight. Then carefully peel off all of the freezer paper. Awe I love this project. You did a super nice job! Oh wow, what a great idea. And you did it perfectly. Those 'character' jammies and clothes really are expensive. That came out so good. I absolutely love it. oh! would love a diy art like this! looks fun on kids shirts. 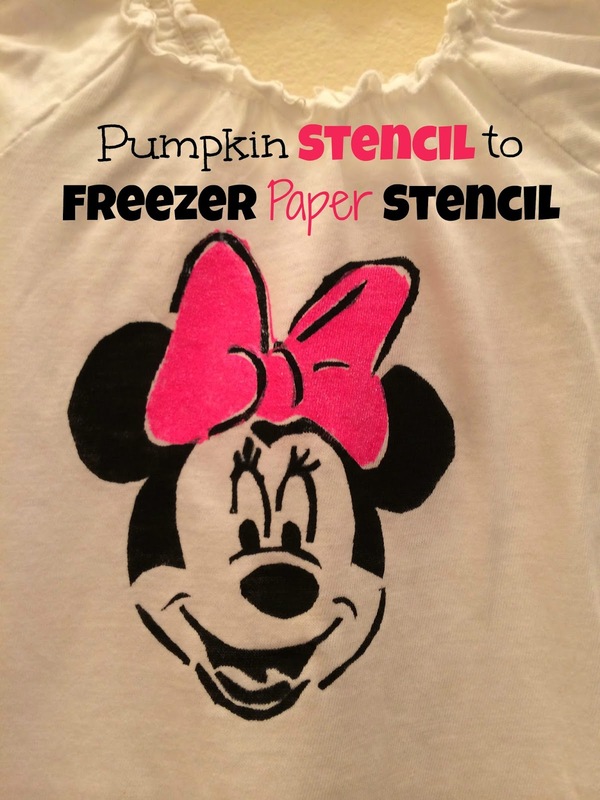 I love freezer paper stencils! This turned out darling! That is beyond cute! My daughter is obsessed with "Mimmie" as she calls her! You fun crafty people just make me a bit jealous! Wow. Very good use of resources.